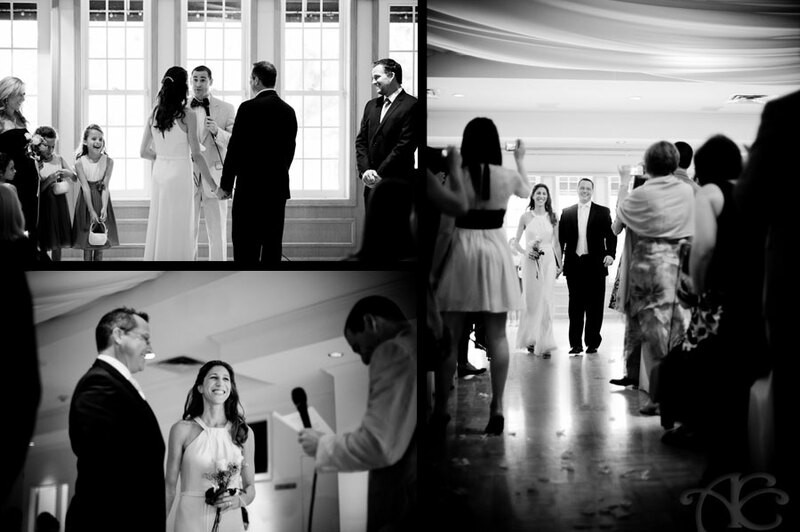 Jill and Geoff were married at the Josephine Leiser Opera Center on July 11. 2009. 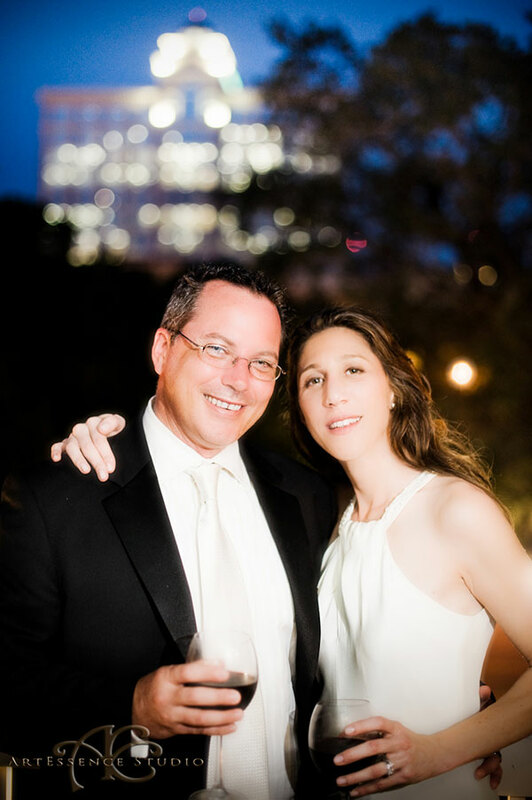 The bride and groom opted for a low key, casual wedding reception rather than a formal affair at this jewel of a Fort Lauderdale wedding reception venue. 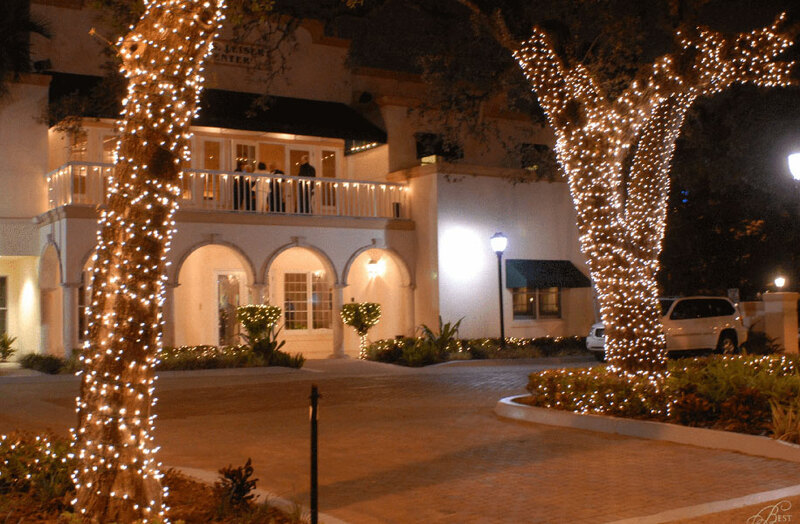 The Leiser Center is located in downtown Fort Lauderdale in the Riverwalk Arts and Entertainment District. 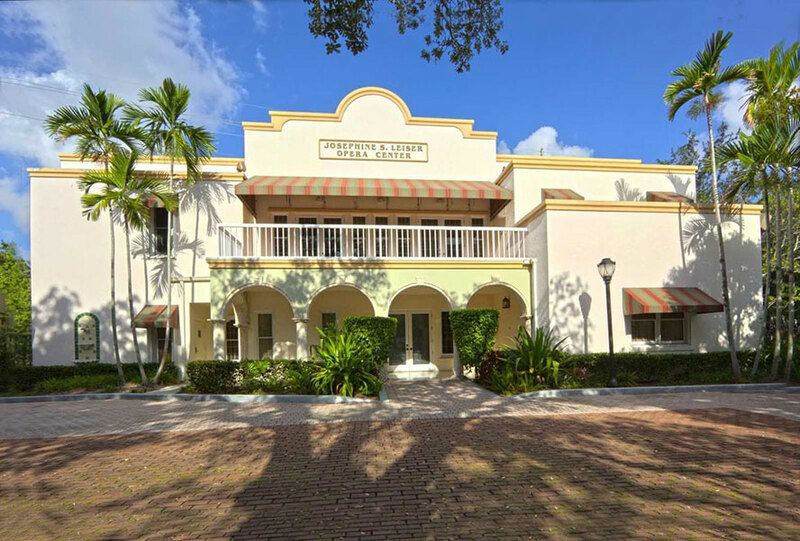 The two-story building beautifully captures the essence of historical Florida architecture in a lushly landscaped setting adjacent to the New River and the Broward Center for the Performing Arts. A giant oak tree stands tall at the entrance of the Fort Lauderdale wedding reception venue. 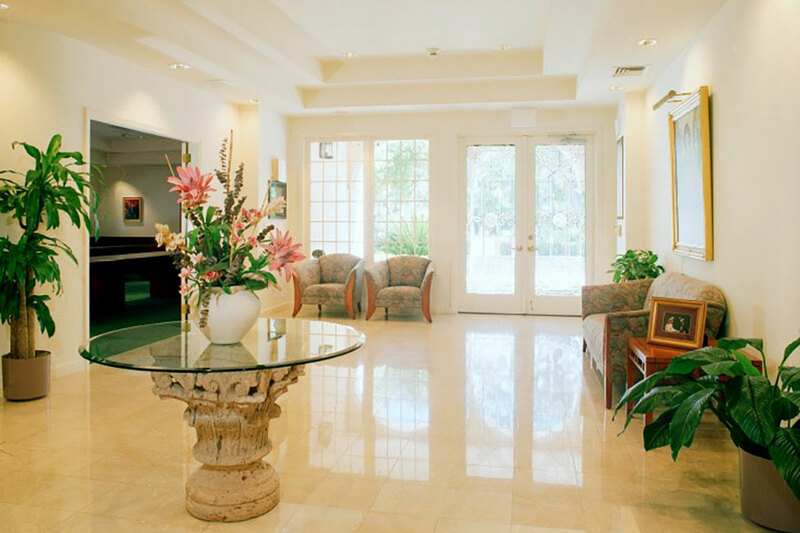 Once inside, a spacious, gleaming marble lobby leads you to the second floor ballroom. 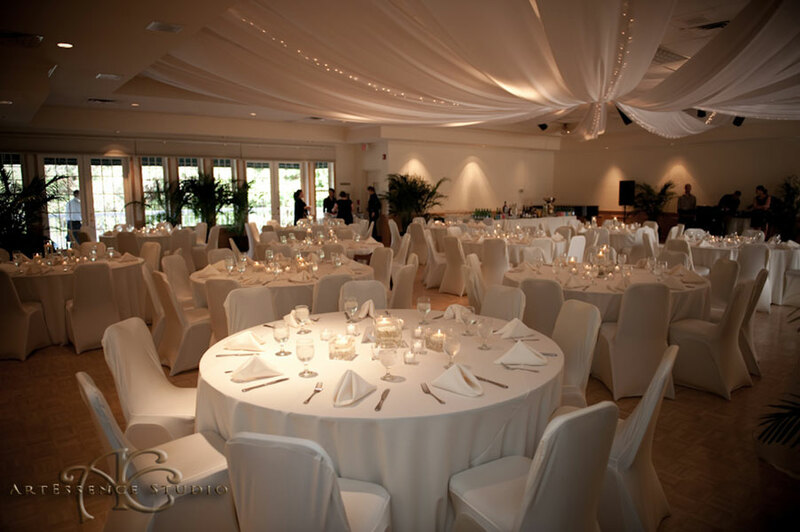 The space is a blank canvas which suits many personal tastes and style from the more casual wedding reception to an over-the-top elegant affair. 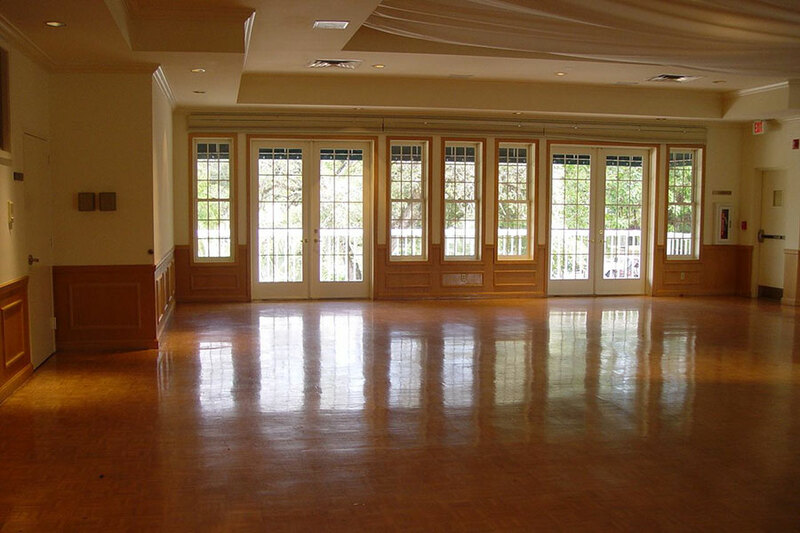 The 2,500 square foot ballroom can accommodate up to 150 guests with multiple event spaces available for use. The Eggwhites Catering team had a great time working with Jill and Geoff to plan their special day. The couple opted for a traditional color scheme of white and ivory. They kept the décor elements minimal with a focus on the food and drink. 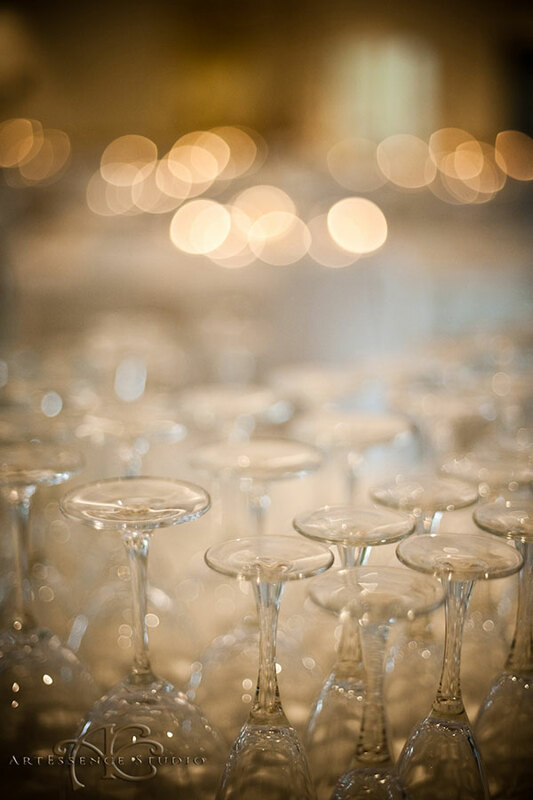 After a heartfelt ceremony held in the grand ballroom, guests were invited downstairs through the marvelous leaded glass doors of the lounge for cocktails and passed hors d’oeuvres. 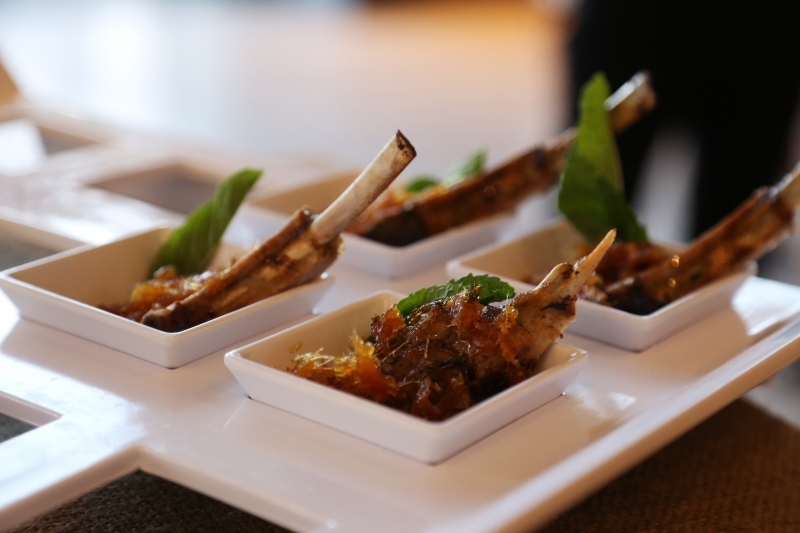 Guests sipped champagne and nibbled on treats such as the Eggwhites Catering signature Baby Lamb Chops with Minted Ginger Chutney. In the meantime, the Eggwhites team transformed the ballroom from the structured ceremony to an elegant yet casual wedding reception space. The room was awash with soft candlelight from the tablescapes of various sized candles and gerber daisies. Rather than a formal served dinner, Jill and Geoff chose to serve dinner from food stations designed to encourage mingling and socializing among guests. As the couple informally entered the room as Mr. and Mrs., guests were already visiting the abundant specialty food stations. 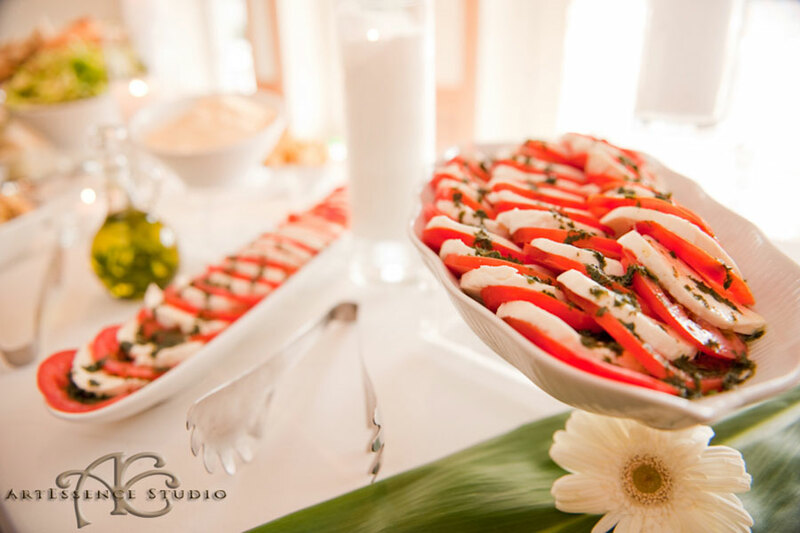 First course and salad options included a farm-to-table Caprese Salad with seasonal tomatoes and fresh mozzarella. Our Chefs interacted with guests as they prepared made to order pasta. 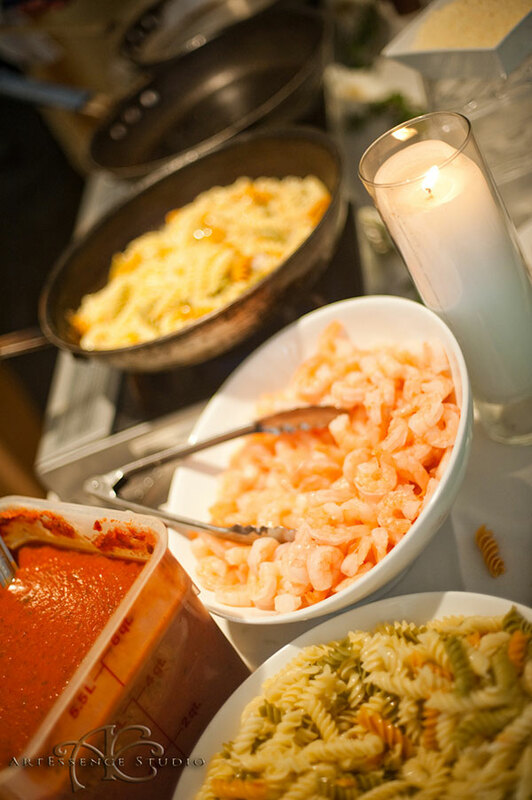 A selection of pasta was offered along with a choice of red Pomodoro Sauce and white Alfredo Sauce. Various mix-ins such as meats, vegetables and fresh herbs were available to create an elevated plate that suited every individual palate. 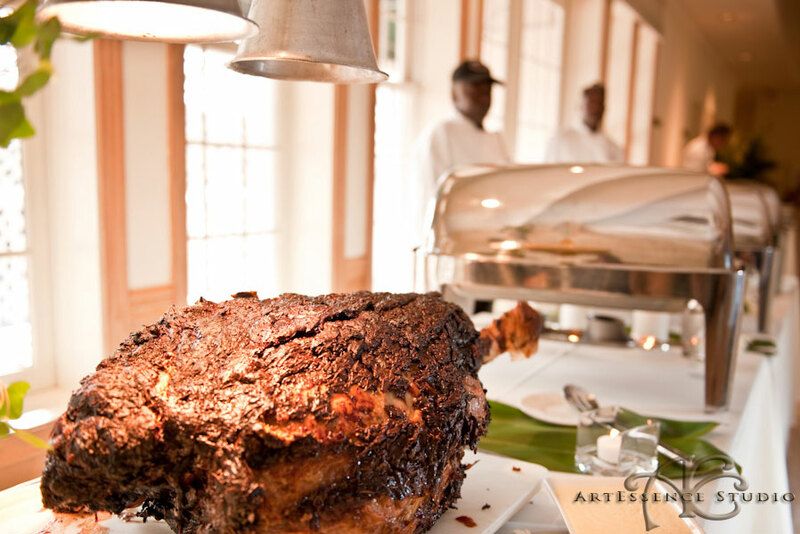 Chef Pierre carved a Slow Roasted Majestic Barron of Beef which was served au jus with a Dijon Horseradish Sauce. An array of sides and other menu items were offered to round out the meal. Last but definitely not least, family and friends toasted the happy couple as they celebrated with rich chocolate wedding cake. The occasion was a most joyous celebration and we wish Jill and Geoff a lifetime of happiness together!